The Portland Japanese Garden's exhibit of bamboo baskets runs the gamut at Washington Park. The Portland Japanese Garden's exhibit of bamboo baskets runs the gamut from one loosely based on a samurai's armor — or perhaps a football player's shoulder pads — to vessels that at first glance wouldn't be out of place in Pottery Barn. That's half the fun of such a show, figuring out where American and Japanese artistic values clash, and where they align. The works are from Portland resident Peter Shinbach's bamboo art collection. The show, "Hanakago: The Art of Bamboo and Flowers," which shows through April 1, includes both traditional baskets and bamboo art, which are sculptural forms not intended to be working baskets. Hana means "flower," kago means "basket," used to hold a flower arrangement in the alcove of a tea room. 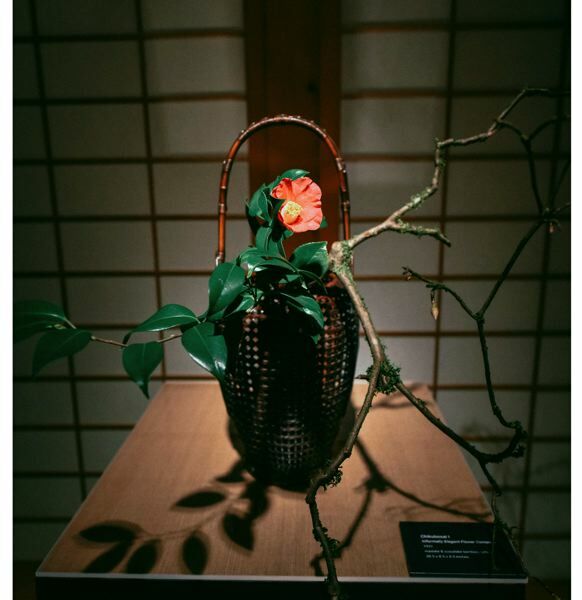 "Hanakago: The Art of Bamboo and Flowers" shows through April 1 at Portland Japanese Garden, 611 S.W. Kingston Ave., in Washington Park in the West Hills. For more information, visit japanesegarden.